Lifespan: the eldest wild, banded Blue Jay was 26 years old. Description: The Blue Jay is a large blue songbird with a perky crest. Its underside is white, and its back is blue, white and black. Fact 1 – Blue Jays rub ants on their feathers. Yes, you read that correctly. The jays rub ants on their feathers, draining the ants of their formic acid before they gobble them up. This is known as “anting.” Over the years, several theories have been proposed to explain this bizarre behaviour. One theory hypothesized the excreted acid served as a safeguard against parasites and bacteria, though testing the acid on bacteria cultures showed this to be unlikely. The most probable reason is simple: the ants taste better without the acid. Ornithologists tested this theory by exposing jays to ants with and without formic acid – the ants without acid were eaten immediately while the ones with it were treated to the rubbing ceremony. Fact 2 – The pigment found in Blue Jay feathers is actually brown. Melanin, the same pigment found in human hair and skin, is a brown pigment – and it is the pigment found in Blue Jay feathers. Why, then, do they appear blue? Bird colouration is produced in a variety of ways, of which pigmentation is just one. 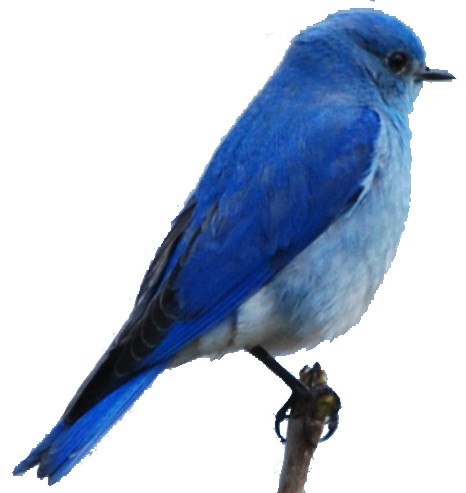 The blue appearance of many blue birds is due to refraction – a light scattering phenomenon. The barb structure of Blue Jay feathers is such that, when light hits them, the blue light is refracted while the other wavelength of visible light are absorbed by the melanin, making them look blue. If you come across a Blue Jay feather, try backlighting it. Without direct light, the blue is no longer reflected and the feather will look brown. 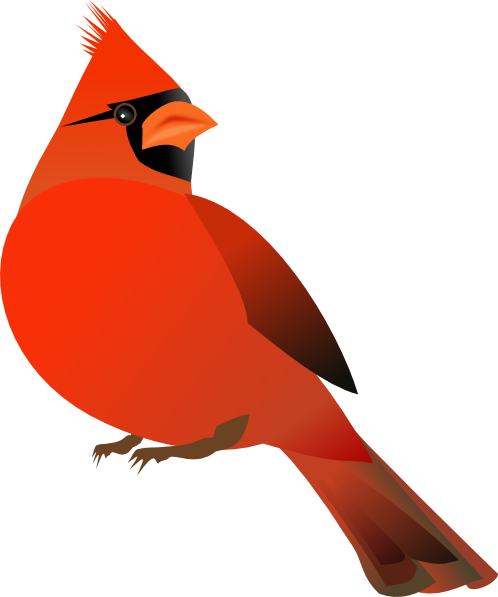 Fact 3 – Blue Jays mimic hawks. Blue Jays can make a variety of sounds and it is common to hear them mimicking hawks, especially the Red-shouldered Hawk. Ornithologists suggest they do this for one of two reasons, or perhaps both. The first theory is the mimicry serves as a warning to other jays about any lurking hawks. The second is that jays are trying to fool other species into thinking there are hawks nearby. Fact 4 – Blue Jays collect paint chips. 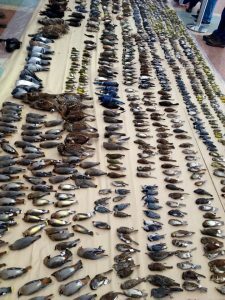 Blue Jays have been known to chip at and hoard light-coloured paint, probably to stockpile a source of calcium for the spring. 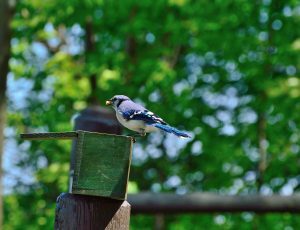 If Blue Jays are chipping away at the paint on your house, try providing an alternate source of calcium like crushed egg shells – this usually stops the unwanted behaviour. Fact 5 – Blue Jays are noisier in the fall than in the spring or summer. Many notice that Blue Jays, who are fairly quiet during the spring and summer, are noisy little neighbours during the fall. In spring and early summer, when they are nesting, jays tend to be more secretive. Come fall, when they are scavenging for food and hawks are more present, they communicate a variety of information and warnings through their calls. Which of these facts are new to you? Which had you already observed? 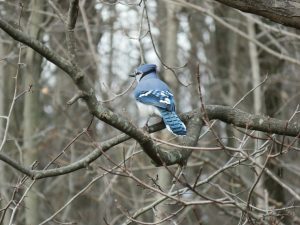 Let us know about the Blue Jays in your NatureHood in the comments, or connect with us on Twitter and Facebook. [caption id="attachment_34904" align="alignleft" width="150"] Michelle Briere, Guest Blogger[/caption] This blog was written by guest blogger Michelle Briere. As the weather cools and the seasons change, it is time to think about how you can make better choices for the environment this fall! My favorite part of autumn is absolutely the harvest. From pumpkins, to onions, to potatoes, most of us here in Canada have a variety of delicious vegetables come into season during the fall. A tip to acquire the most delicious and fresh vegetables around is to buy locally-grown produce. Not only does it help support the local economy, but it reduces the environmental impact associated with long-distance food transportation. Head to your local farmer’s market, and the next time you’re out in the country, keep your eye out for food stands where farmers often sell their freshly-picked produce. Another fun way to enjoy local produce is to pick it yourself! Grab some friends, family or your significant other and make a date of picking at a local apple orchard. When the cold weather rolls around, some of us long to revamp our style and revel in the cozy big sweaters and earthy palette that fall fashion brings. Thankfully, there are several ways the environmentally-conscious fashionista can indulge during the fall. To reduce waste, avoid fast fashion, and even save a few bucks, visit thrift stores in your area. You may have to dig around a bit, but with some patience you’re sure to find some gems hidden within the racks. If you have no luck at the thrift stores, seek out local and environmentally-conscious companies to shop from. My personal favorite eco-friendly Canadian brand is Matt & Nat, a Montréal-based company which uses recycled water bottles to make a wide variety of sophisticated purses, briefcases, backpacks, wallets and shoes. 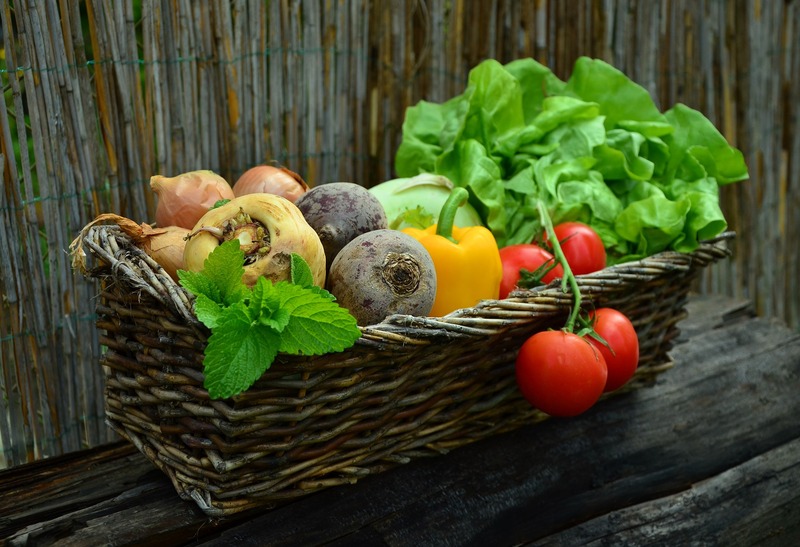 Growing your own food is a fun and rewarding way to reduce the environmental impacts associated with large-scale food production. Whether you already have a vegetable garden or not, you can start parts of next year’s garden this fall! Like tulips, certain vegetables are best planted before the winter. Depending on where you live, this usually includes garlic, onions, and shallots. 6-8 weeks before the expected last frost, start a new garden plot or prep your existing one. Remove any remaining plant material (excluding perennials), lightly fertilize and work your soil, plant your garlic, onion and shallots accordingly, and cover lightly or heavily with mulch (depending on how cold your winters are). Planting these foods in the fall will produce a bigger crop with fuller flavour, ready to be enjoyed late summer the following year. Animal agriculture is one of the top sources of greenhouse gas emissions, and consumes extremely large volumes of water. One fun and festive way to reduce your environmental impact this fall is by hosting an entirely plant-based Thanksgiving! As recognition of the environmental, health and animal welfare benefits of a plant-based diet grows, it’s easier than ever to find tasty alternatives to traditional meat and dairy-based recipes. 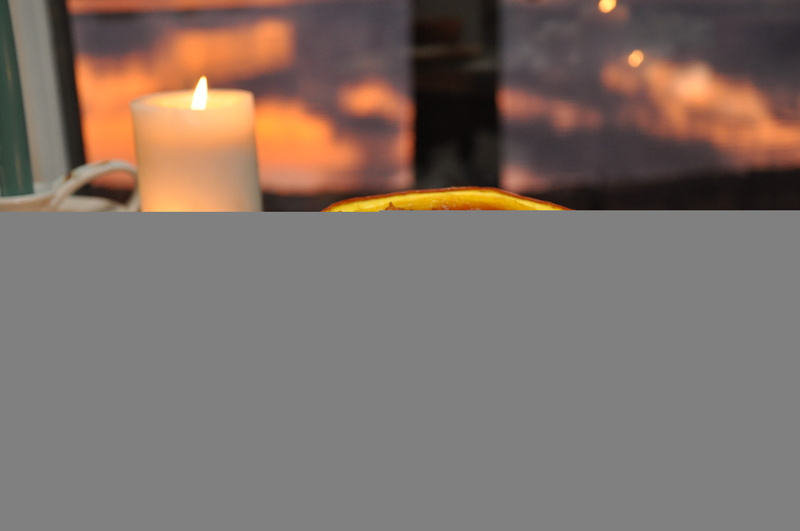 There are several dishes you can make that will keep your Thanksgiving traditions alive, while keeping your environmental impact low; for example, stuff a butternut squash with your go-to stuffing recipe, and replace butter in your apple pie recipe with margarine. Find yourself short of ideas? Check out some plant-based cookbooks or online food blogs (my favorites are here and here). [one_half] [caption id="attachment_34619" align="alignnone" width="300"] Photo by Michelle Briere[/caption] [/one_half] [one_half_last] [caption id="attachment_34620" align="alignnone" width="300"] Photo by Michelle Briere[/caption] [/one_half_last] Recipes for plant-based versions of classic fall favourites are widely available online. 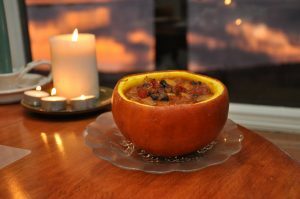 Left: 3-bean chilli served in roasted pumpkin bowls. Right: dairy-free pumpkin spice “cheesecake”. 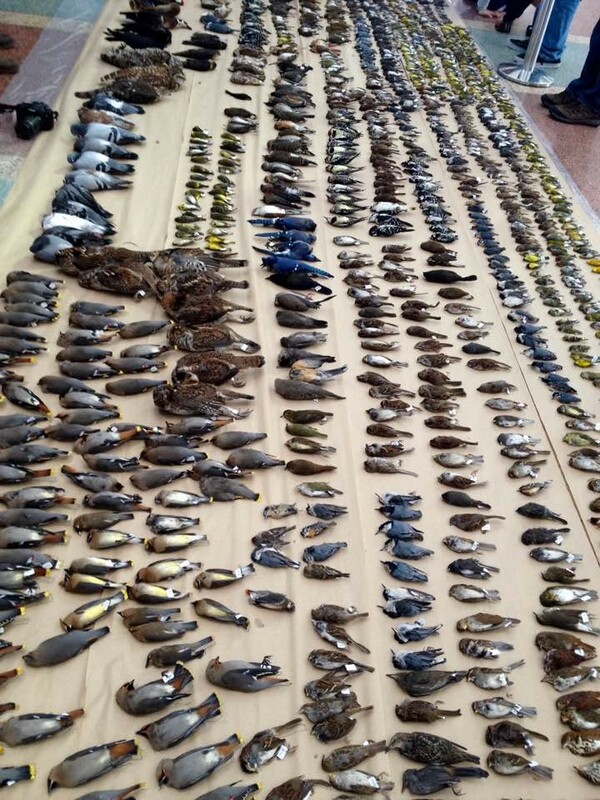 Fall and winter are challenging seasons for our feathered friends. 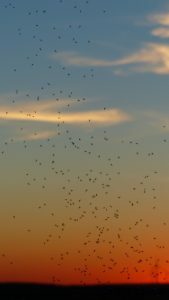 Many bird species make the long, difficult journey south during the fall, while others stay and endure Canada’s sub-zero winter temperatures. Food scarcity is often a major challenge for both parties. 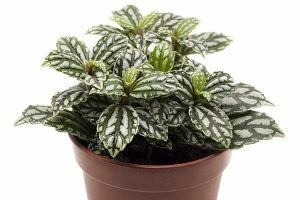 The best thing you can do to help is avoid pruning your fruiting, flower and seed-bearing plants until the early spring. 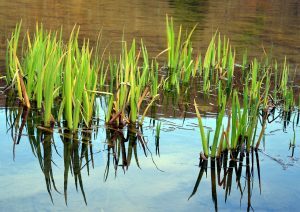 These plants provide an excellent food source for migrants to refuel on their way south, and help sustain the species who stick around for the winter. [caption id="attachment_34621" align="alignleft" width="300"] Photo by Michelle Briere[/caption] Fall is also great time to clean any bird feeders, bird baths and birdhouses you may have; this can help prevent the spread of disease. Birds benefit year-round from fruiting trees. 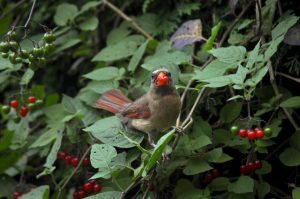 Avoid trimming these plants in your yard until the spring to help keep more food sources available for birds. Whether you’ll be going door-to-door, giving out candy, or heading to a costume party, you can be festive this Halloween while staying environmentally-conscious. Dressing up? Dig out an old costume you wore years ago, swap with a friend, or head to a thrift store. Alternatively, if you’re the creative type, make a DIY masterpiece using things you already have around the house. Decorating? Pinterest is your best friend. You can find countless DIY Halloween decoration ideas that don’t require you to buy anything new, or that are free of plastic and other environmentally-harmful products. Giving out candy? Source out ones that uses the least amount of packaging (while remaining safe for kids, of course). This is an easy tip to reduce your impact, but it may take a little adjustment time. If you own a home or rent a place where you can control the thermostat, try keeping the temperature a bit cooler than you normally do during the fall and winter months. Break out your cozy sweaters, bundle up in some blankets, and enjoy hot cups of tea. After a few days, you’ll adjust to having your place a few degrees cooler. Plus, you’ll save a few bucks on your energy bill! What are some things you do to enjoy an environmentally-friendly fall? Leave a comment below! Director of Development[/caption] “We all need peace and quiet, beautiful natural places to be our touchstones and to replenish our souls. A walk in nature does that for me. Also, just knowing we have natural places and wildlife is satisfying”. – Senator Diane Griffin Senator Diane Griffin is a lifelong and passionate environmentalist. 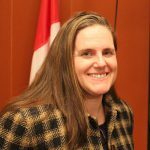 She’s had a stellar public service career including serving as PEI’s Deputy Minister of Environment and Energy and as a Town Councillor in Stratford, PEI. She’s also served as the President of our Board of Directors and received our Pimlott Award for her incredible dedication and work to protect nature. 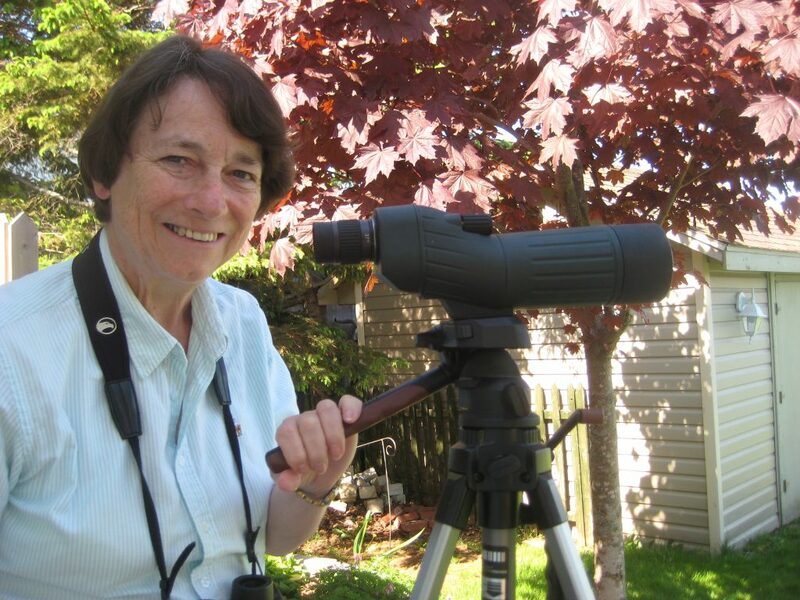 An accomplished writer, who published a book of Atlantic Wildflowers, she has also penned numerous articles on topics ranging from agricultural, eco-economics, national forest strategies, natural heritage and more. [caption id="attachment_34742" align="alignright" width="421"] Senator Diane Griffin[/caption] Senator Griffin encourages Canadians of all ages to explore nature, and take action in ways that make sense in our own homes and hearts, acknowledging recently that “what we do in our individual homes and communities is going to be significant for the conservation of Canada’s natural resources.” Today, she brings a strong voice for nature and conservation to Canada’s Senate and is also the Honorary Chair of our Women for Nature program. Three Women for Nature projects are launching this year. Together with your gifts, we’ve supported six projects imagined by Young Women for Nature. As well, we’ll launch 10 new mentorships empowering up and coming nature leaders. And the Women for Nature E-Dialogues series, moderated by Professor Ann Dale, will begin later this month. These real-time, online discussions will stimulate ideas, dialogue and local action around the critically important topic of Biodiversity. You can find out all the topics, and join the conversation here. By instilling a passionate commitment to nature within our young nature leaders, Women for Nature members are investing in the future of conservation in Canada. The Women for Nature mentorship program and E-Dialogue series will bring strong voices together for nature to support the future protection of nature and wildlife in Canada. 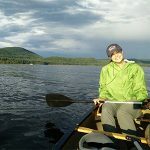 “As the Honorary Chair of Nature Canada’s Women for Nature initiative, I am delighted to see that Canada’s nature is in good hands. 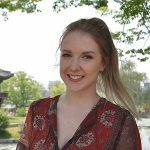 These young women and their projects are a step in the right direction to help enable more young Canadians to connect with nature and assist in protecting our precious wildlife and habitats.” You can find the latest news on Women for Nature here. And if you are interested in learning more about our initiative, I would love to connect with you! 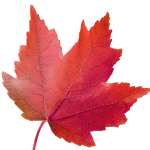 You can reach me at jjoy@naturecanada.ca or 1-800-267-4088 extension 239. 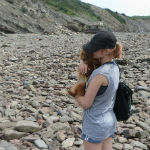 This post was written by BC-based guest blogger Sharon Bamber (www.sharonbamber.com). I live in a straw bale off-grid home. My husband Simon and I designed it and built it together from the ground up, with no special tools, no help from paid contractors (except for the final roofing) and no prior construction experience. It was a challenging, frustrating, exciting, demoralizing, enlightening, joyous and exhausting endeavour. I thoroughly recommend it! I was introduced to natural building 20 years ago when I lived in Cornwall, UK, and learned about the traditional cob buildings. Cob is a traditional building technique using hand-formed lumps of clay earth mixed with sand and straw which is laid wet. In England, there are tens of thousands of comfortable cob homes, many of which have been continuously inhabited for over 500 years. Building in this manner made sense to me as this ancient technology is aesthetically beautiful and doesn't contribute to environmental degradation, dwindling natural resources or chemical contamination. When I came to Canada, I wasn't sure if cob would provide the necessary insulation for the winter months. I still wanted that beautiful, unique, hand-built home that I'd dreamed of for so long, but didn't want to hurt the environment in the process. Conventional building materials are non-renewable, difficult and intimidating for novices to work with and the environmental cost is high. I needed an alternative solution. [caption id="attachment_34430" align="aligncenter" width="940"] Sharon and Simon building their straw bale house in British Columbia. [/caption] I asked myself a number of questions: Where do the materials come from, are they sustainable and how much damage is done to the land when they are extracted? The straw: I was able to source straw bales from a farm 148 kilometres away - further than I would have liked, but much closer than those conventional materials! The nearest oriented strand board (OSB) manufacturing plant is 650 kilometres away and the nearest fibreglass insulation manufacturing plant is 830 kilometres away. In comparison with other building materials, timber/lumber seems like a sustainable material, but it takes a long time to grow compared to straw. Straw is a renewable material, taking just one season before it is harvested. The earth plaster: The soil that we were going to extract as we dug the foundations contained enough clay to make a good plaster. So one of the major plaster ingredients was there on site. Using the soil extracted for the foundation as the basis of our plaster was much less damaging to the land than using cement or lime plaster and we minimised the physical footprint of our house as best we could. The other ingredients were chopped straw (sustainable), fresh horse manure (sustainable) and fresh cow manure (sustainable), both of which we collected daily from our neighbour's horses and cows, and sand (not sustainable). The sand came from a local quarry 26 kilometres away. All very local! What is the embodied energy of the materials? 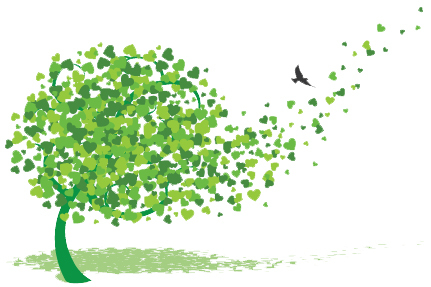 Embodied energy is a common measure used in comparing the environmental impact of different materials, products or services. In this case, it is the energy consumed by all of the processes associated with the production of a building, from the mining and processing of natural resources to manufacturing, transport and product delivery. 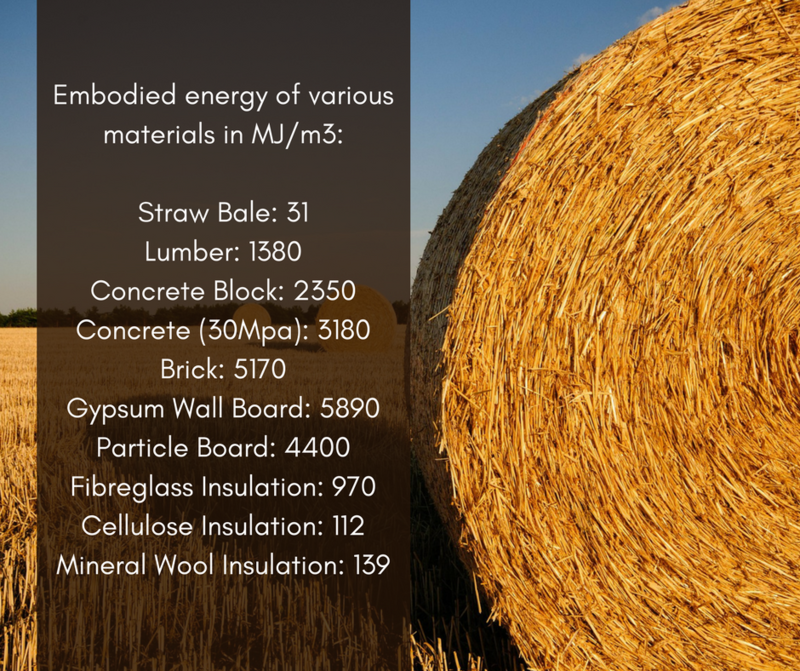 Straw bale construction has extremely low measures of embodied energy when compared with conventional building materials. What are the costs of heating and cooling the completed house? Our house is extremely cool during the summer and very warm in the winter. Straw, when encased in earth plaster has a very high R-value. Other buildings can achieve the same R-value, but only by using more expensive materials and a more material-extensive system. 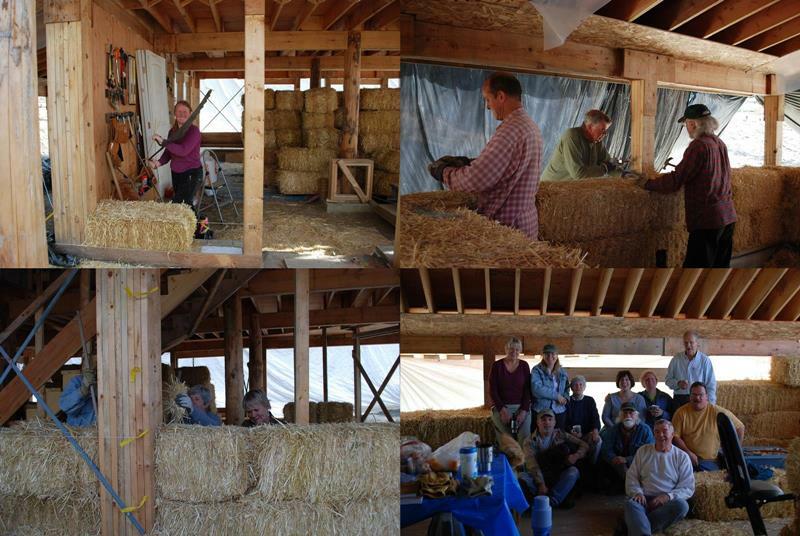 It has been estimated that straw bale buildings are on average 20% more efficient than standard stick-built construction. What happens to the building materials eventually, when the home is no longer needed? At the end of its life, when the building is no longer needed, the walls can just compost into the ground. The walls and plaster are 100% biodegradable when the time comes. As an interesting side note, during the whole of the construction we only had to take two standard-sized black garbage bags to the dump. None of that came from the wall construction. [caption id="attachment_34425" align="alignright" width="409"] Baling with our family and friends. [/caption] I love that I know that the materials are natural, that I know where they come from and how they are made, that there are no glues, chemicals, toxins or off-gassing. I love that I collected, sieved and mixed the plaster with my own hands. I love that I built every inch of the house and that I felt safe and comfortable doing it. I adore the really thick, solid walls with their gentle undulations, soft curves, rounded edges and deep window seats at each window. Those characteristics add a special warm, welcoming feeling that is impossible to describe until you experience it for yourself. 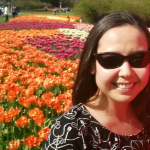 My home is powered by solar and has a composting toilet (a rather nice porcelain toilet with the nasty “working box” hidden away), and I have plans for a greywater system now that this is allowed under BC wastewater regulations. It is by no means the perfect environmentally friendly house. Except for the walls themselves, there were areas where we had to compromise because of budget, and I really hope that alternative sustainable green products eventually become more affordable and mainstream. It is however, the best that we could possibly do and we love it. 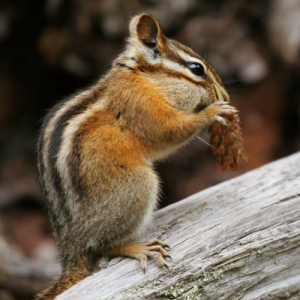 Description: Townsend's Chipmunks have dark brown and striped backs. 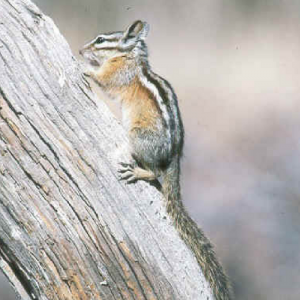 They have five dark stripes alternating with four lighter stripes, and two grey and three brown stripes on their faces. Their underside varies from creamy white to grey, and their ears are black in front and grey behind. 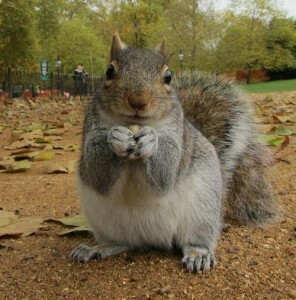 Their tail is bushy, dark brown and tipped with grey and brown. Eat in Season: Fruits and Vegetables to Put on Your Plate During the Last Days of Summer! This blog is written by guest blogger Leanne Lovsin. Did you know that choosing to eat locally-grown fruits and vegetables is good for the environment? Local produce doesn’t have to travel very far to arrive on your plate; this helps reduce greenhouse gas emissions. It’s a win-win situation! You help support the local economy, eat fresh and delicious food, and improve your carbon footprint. As the days begin to get shorter and the wind becomes a little brisker, you may catch yourself thinking about the upcoming fall season. But wait! There’s still some summertime left. Next time you go grocery shopping, celebrate the late summer harvest with fruits and vegetables that are grown locally during this fleeting time of year. Who doesn’t love fresh blueberries? Packed to the brim with disease-fighting antioxidants, this indigo-hued fruit is a super healthy—and tasty—addition to your diet. You can find this fruit almost everywhere during this time of year: grocery stores, farmers markets, and pick-your-own fields! 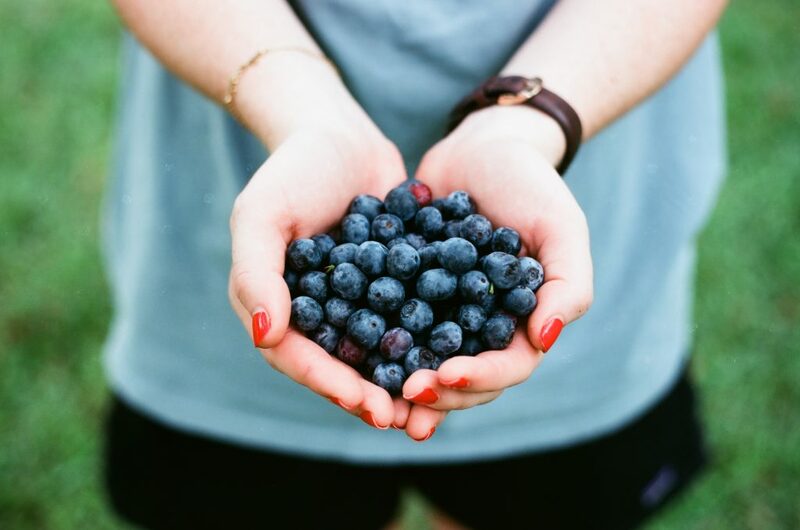 If you do opt to pick your own blueberries (the more, the merrier! ), they can be frozen and stored for later use. Amazingly versatile, add them to smoothies, desserts, and on top of salads, or make some jam! Nectarines are a juicy stone-fruit that stay in season just a little bit longer than peaches, which they are closely related to. Unlike peaches, nectarines are smooth and have a smaller pit, which arguably makes them more enjoyable to eat! High in vitamin C, beta-carotene, and fiber, this is one fruit you want to get your hands on while you can! Although they taste delicious as is, nectarines also make great additions to smoothies and cobblers. 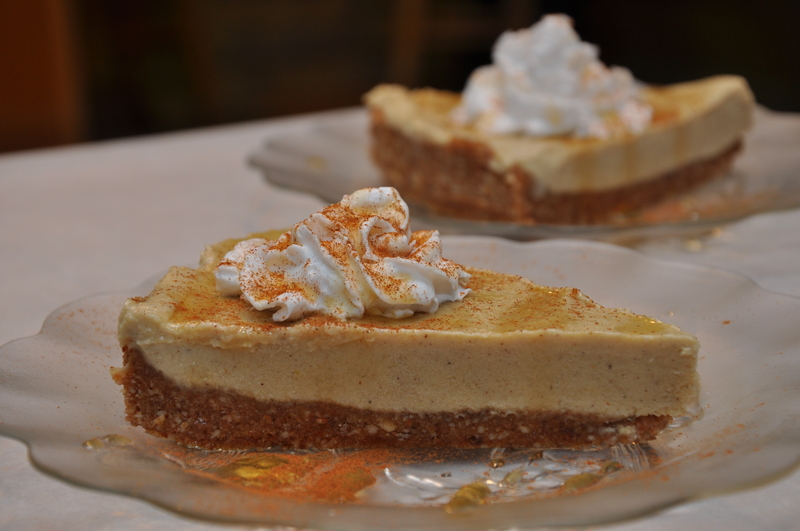 Next time you have guests over, try adding it to your dessert for a seasonal treat! Artichokes are one of the coolest vegetables around! Well, it’s not technically a vegetable—it’s actually the bud of a flowering plant from the thistle family! Covered in a green armour-like exterior, we typically only eat the sweet-savoury tasting heart. The options are endless with artichoke. Try it grilled on the BBQ with some herbs or roasted in the oven with other veggies. 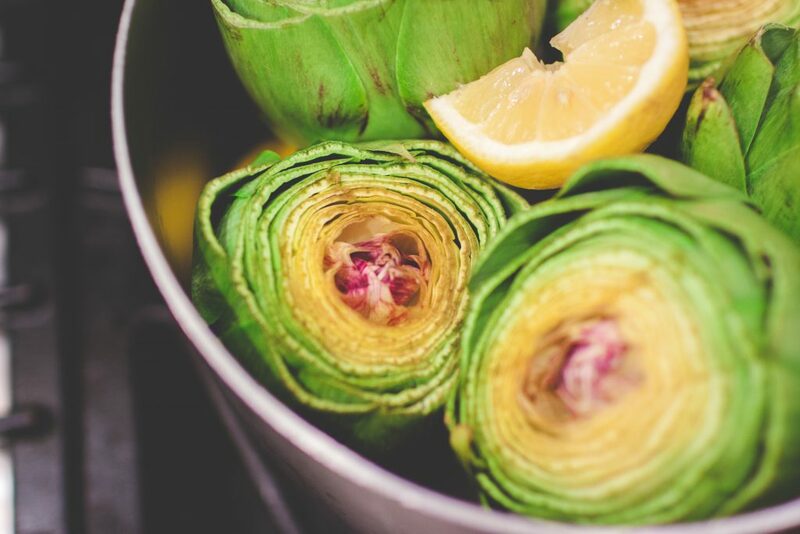 It also steams and sautés easily, so next time you need to add some nutrients to your meal, opt for artichokes! A much-loved favourite of vegetarians and vegans, eggplant (or aubergine) has a naturally neutral taste which makes it ideal for soaking up other flavours! It’s also really nutritious; it’s full of fiber, folate, potassium, magnesium, as well as vitamins C, K, and B6. A great substitute for traditional meat dishes, try making eggplant parmesan or veggie lasagna on your next Meatless Monday. Eggplant also roasts really well and tastes great with root vegetables like sweet potato! Happy eating! Share your favourite summertime recipes in the comments below or on Facebook or Twitter! 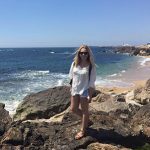 [caption id="attachment_33210" align="alignleft" width="150"] Guest blogger Rebecca Kennedy[/caption] This post was written by guest blogger Rebecca Kennedy. 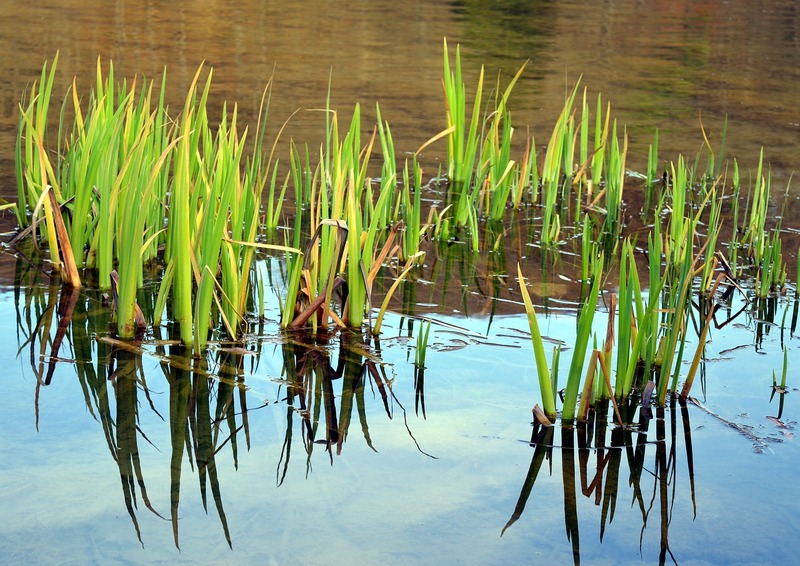 Throughout the year, your yard and neighborhood are home to a plethora of nature sounds. They can be the pleasant and relaxing kind—a burbling stream, a gentle wind rustling through leafy trees, the avid chirps and splashing of bathing birds—of which spa music playlists are made. Or they can be perturbing and strange (always at night! )—haunting howls, screeches, and screams that bring a banshee to mind and seem better suited for a campfire ghost story. What curious, perhaps off-putting, noises are you hearing this summer? 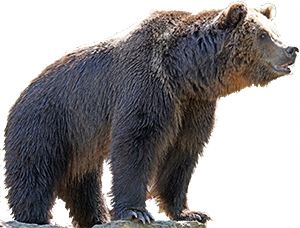 Your yard, whether in the country, the city, or somewhere in between, may be a prime destination for one of these furry creatures who are known for their sometimes disconcerting, but still fascinating, vocalizations. Nocturnal by nature, this solitary member of the weasel family is rarely seen, though maybe you will hear one. Badgers have over 15 discrete sounds, ranging from the chirps, coos, and clucks of cubs to the soothing purr of a mother to her young and the growling and yelping sounds of threatened adults. Though they feed primarily on rodents, badgers are opportunistic eaters and will consume whatever is near and available to them—small birds, eggs, rabbits, mice, and squirrels. The American badger is found across Canada, from southern British Columbia to southern Ontario. In this recording, the pine marten exhibits scolding behavior by producing squeaks and a low huffing noise. A member of the weasel family, it is about the size of a small cat with the characteristically long, slinky body and a small, fox-like face. This extremely active creature has a high metabolism and spends a lot of its time hunting. 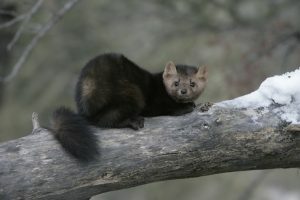 In addition to fruit and nuts, the American marten will prey on birds and larger animals like snowshoe hares and marmots. This boreal forest dweller is found throughout Canada, and the Newfoundland Marten (Martes americana atrata) is classified as threatened under the federal Species at Risk Act. 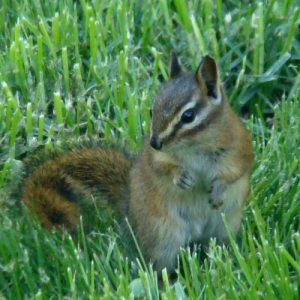 These backyard pests or pals, depending on your point of view, are highly intelligent, agile mammals who spend most of their time in trees and are masters of eating in season—maple buds in spring; berries, seeds, and apples in the summer; hickory nuts and acorns in autumn. They are also fast—moving up to 25 kilometres per hour when on the ground. Their alarm call is a series of rapid clicking sounds. 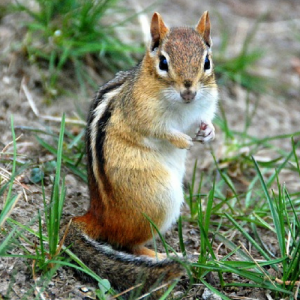 This type of squirrel stands out for its bushy tail, parts of which it can sometimes lose in order to escape from a predator. 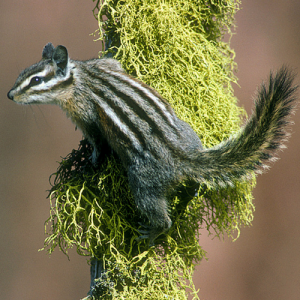 Native to native to southern New Brunswick, Quebec, Ontario, Manitoba, and Saskatchewan, this tree squirrel is active year-round and found throughout Canada.